Pediatricians Say Women Shouldn't Drink While Pregnant : Shots - Health News Ten percent of pregnant women say they drink, even though doctors have spent decades saying that birth defects and developmental delays from alcohol can be prevented completely by abstaining. Abstaining while pregnant is the easiest way to reduce the risk of physical, intellectual and emotional problems in the baby, doctors say. Since alcohol-related birth defects and developmental disabilities are "completely preventable when pregnant women abstain from alcohol use," the standard should be no drinking at all, according to a clinical report issued Monday by the American Academy of Pediatrics. The report looks at fetal alcohol spectrum disorder, a broad term that ranges from the serious birth defects of fetal alcohol syndrome through milder problems like hyperactivity, attention problems, difficulty in school, learning disabilities, speech and language delays and poor reasoning. It's such a broad range of problems, the report acknowledges, that it's been hard to figure out how many children are affected; the numbers range up to 5 percent. It also makes it hard to educate people about the link between alcohol and more subtle physical and behavioral problems in children. One in 10 women reports drinking some alcohol while pregnant, according to the Centers for Disease Control and Prevention; 1 in 33 says she binge-drank. 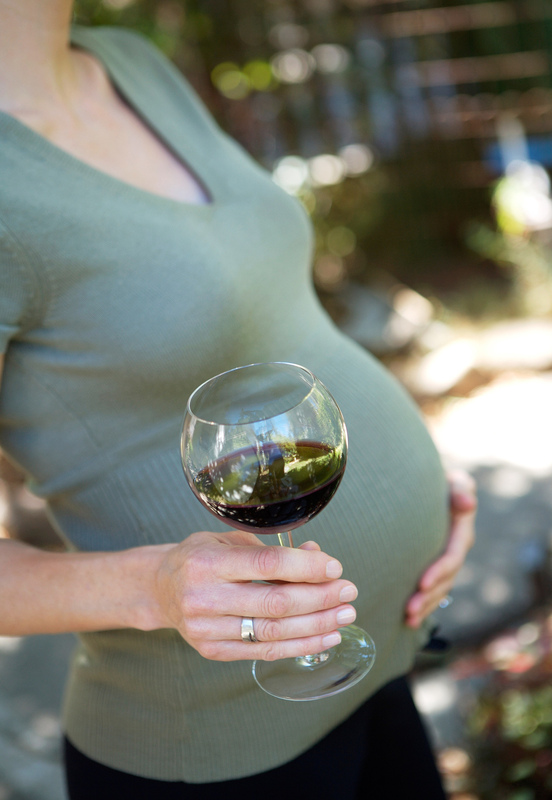 Women who drank while pregnant were more likely to be over 35, college educated and unmarried. And there's been more than a little pushback recently on abstention, led by Emily Oster, an associate professor of economics at Brown University and author of the 2013 book Expecting Better. "The evidence overwhelmingly shows that light drinking is fine," she wrote. Oster combed through many a medical journal looking for evidence that moderate drinking is OK. And there are such studies, like this one from 2013 that found one or two drinks a week were not correlated with thinking problems in childhood. But there's no escaping the fact that as a whole, studies on drinking while pregnant show increased risk to the baby. Not all babies whose mothers drank while pregnant will end up having problems, of course. But there's no way of knowing whether your child will be one of the ones affected. And the studies like the one above that find no risk typically use just one or two measures, not the broad catalog of potential problems. That leads inevitably to less is better, none is best. There's abundant evidence that binge-drinking while pregnant is harmful. And a 2013 study found that drinking in the first trimester increases the risk of symptoms 12 times; drinking in first and second trimesters increased risk 61 times; and drinking throughout pregnancy increased it 65 times. That may serve as some consolation to women who were drinking before they found out they were pregnant and are worried that they've done harm. Drinking beer or wine isn't an out either, the pediatricians say. "All forms of alcohol, such as beer, wine and liquor, post similar risk," the report says. I hate being such a buzzkill. Women who are pregnant deserve all the help they can get, but when it comes to alcohol, it's hard not to conclude that a foot massage or a bowl of ice cream would be a safer indulgence.